Marco Polo Pocket Guide Montenegro: the Travel Guide with Insider Tips. Explore Montenegro with this handy, pocket-sized, authoritative guide, packed with Insider Tips. 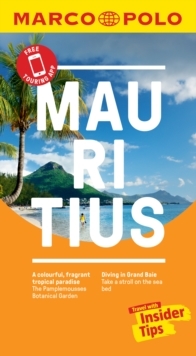 Discover boutique hotels, authentic restaurants, the country's trendiest places, and get tips on shopping and what to do on a limited budget. There are plenty of ideas for travel with kids, and a summary of all the festivals and events that take place in Montenegro. Idyllic bays hidden behind rocks and lined with pines, cypresses and olive trees, the flower town of Herceg Novi, the seafaring hamlet of Perast or the picturesque hotel island of Sveti Stefan will take you back to the heyday of European architecture. Countless mountain ranges, panoramic views, raging rivers and spectacular canyons, rarely can you experience so much in such a small area. This is Montenegro! Your Marco Polo Montenegro Pocket Guide includes: Insider Tips - we show you the hidden gems and little known secrets that offer a real insight into the holiday paradise that is Montenegro. Discover where you can enjoy splendid views and unforgettable sunsets, hike the Balkans Trail and taste delicious grilled meat specialities from southern Serbia. Best of - find the best things to do for free, the best 'only in' Montenegro experiences, the best things to do if it rains and the best places to relax and spoil yourself. Sightseeing - all of the top sights are organised by region so you can easily plan your trip. Discovery Tours - specially tailored tours that will get you to the heart of Montenegro. Here are the best tours that will help you enjoy all of Montenegro's diverse scenery, culture and cuisine. Montenegro in full-colour - Marco Polo Pocket Guide Montenegro includes full-colour photos throughout the guide bringing the country to life offering you a real taste of what you can see and enjoy on your trip. 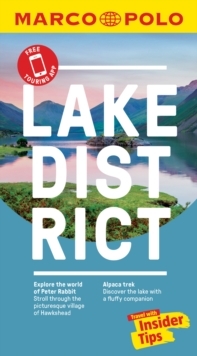 Touring App - you can download any of the Discovery Tours to your smartphone, complete with the detailed route description and map exactly as featured in the guide, free of charge. The maps can be used offline too, so no roaming charges. The perfect navigational tool with distance indicators and landmarks highlighting the correct direction to travel in as well as GPS coordinates along the way. Enjoy stress-free sightseeing and never get lost again! 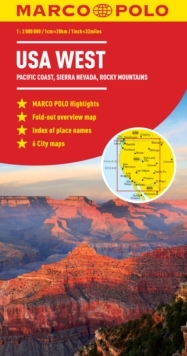 Road Atlas and pull-out map - we've included a detailed road atlas and a handy, pull-out map so you can pop the guide in your bag for a full-on sightseeing day or head out with just the map to enjoy your Discovery Tour. Useful Montenegrin phrases - the essential words and phrases are included to help you get by. 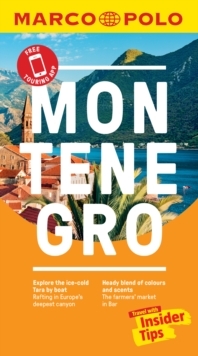 Trust Marco Polo Pocket Guide Montenegro to show you around this amazing country. The comprehensive coverage and unique insights will ensure you experience everything Montenegro has to offer and more. The special tips, personal insights and unusual experiences will help you make the most of your trip - just arrive and enjoy.